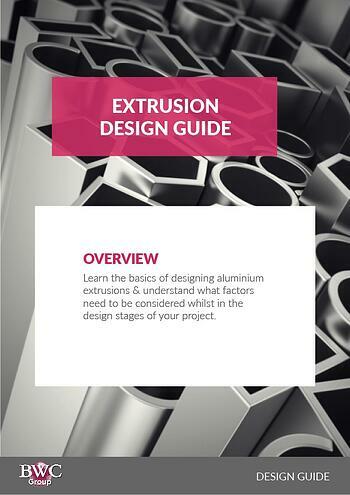 Gain the knowledge required to design aluminium extrusions by using this list of key characteristics which need to be addressed as you go through the design process. Avoid risking distortion or damage to your profile by keeping sufficient metal thickness around the profile. The thickness you specify will need to be heavy enough to meet your structural requirements. Shapes tend to encourage distortion whilst going through the extrusion process, especially when the metal thickness is either too thin or not symmetrical. Avoiding thin details and designing asymmetrical profiles will reduce the risk of your profile failing, becoming distorted or damaged during the extrusion process. Large differences between wall thicknesses create dimensional control problems during extrusion whereas adjacent wall thickness that have a ratio of less than two-to-one are extruded with ease. Maintain near possible uniform thickness throughout your shape. If your design combines thick and thin dimensions, ensure the transitions are streamlined with a radius (typically a curve rather than a sharp angle) at places where the thickness changes sharply. It’s easier to produce tolerances which are the dimensions measured across solid metal than those measured to a centre line or a hole centre. Metal Dimensions can be extruded to close tolerances where as open space dimensions are more difficult to hold the tolerance as they cannot be measured accurately during the extrusion process. When submitting your project to us, it’s important you indicate what surface finishes you require, you can specify these on your drawing. This is so we can pay extra attention to protect the finish during both extrusion and post extrusion process. Any changes in metal thickness could possibly show up as marks on the opposite surface of an extrusion, especially on thinner sections, you can minimise marking on exposed surfaces with thoughtful design. Where there are thick to thin junctions, transitions should be streamlined using a generous radius. By rounding corners, smoother transitions can be achieved. 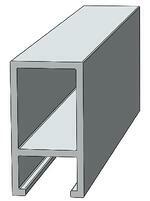 The hollow part of your profile can be extruded successfully by adding a web to your design where possible. This will allow for for thinner wall sections to be extruded. This method is typically easier to extrude compared to gap and angle dimensions which leave a long hollow. After extrusion, wide, thin sections can be harder to straighten. 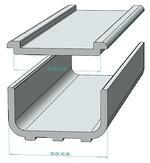 Introducing ribs into your design can help reduce twisting and improve the flatness of the profile. If your profile has a void in it, try to use rounded corners instead of sharp corners, that way the die tongue is unlikely to snap at the narrowest area of the void. Rounded corners are much stronger and easier to extrude. Index marks in your profile make drilling, punching and assembly easier by eliminating the need for centre punching. Index marks also help to identify an inside surface to an outside surface. 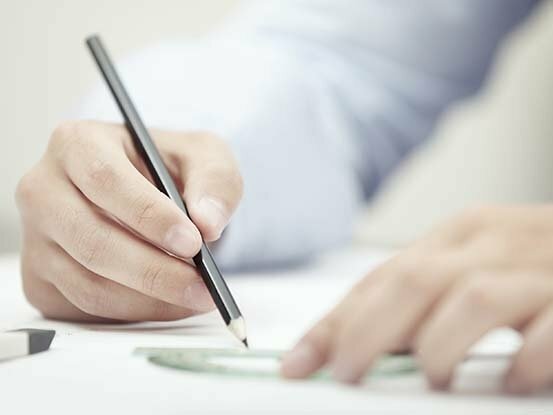 Each project should start with a design checklist, it helps to ensure you cover all bases and when it’s time to speak with us, you will be able to provide all the information we need. ✔ Required dates for sample, prototype production, finished product.